TALLAHASSEE, Fla. — An alarming spike in suicides among U.S. military service members and veterans over the past 15 years is prompting the Department of Defense to turn to Florida State University's renowned suicide research program to find solutions. 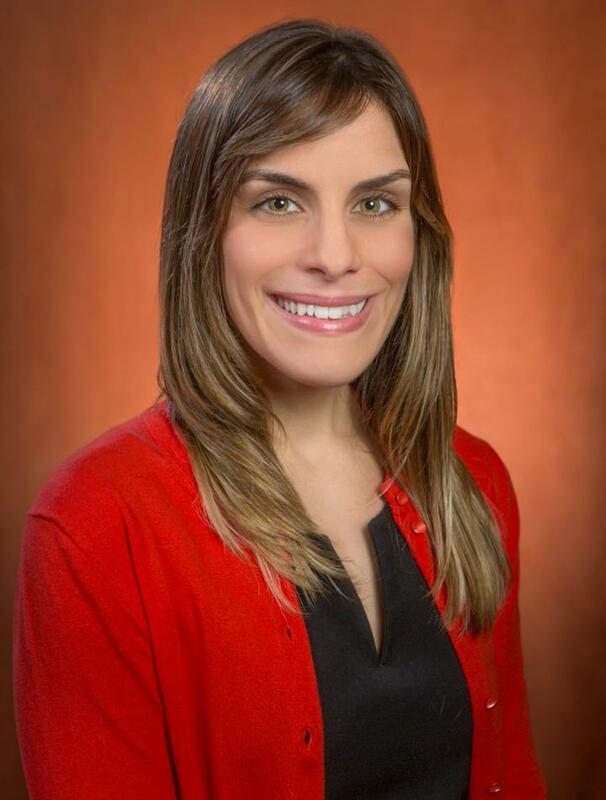 A new federal grant will support innovative research led by Jessica Ribeiro and Joseph Franklin, both assistant professors in FSU's Department of Psychology, with $1.5 million over the next three years. The researchers are building a machine-learning tool designed to help primary care doctors better detect suicide risk and respond more effectively. "It's desperately needed," said Ribeiro, one of FSU's newest faculty members leading suicide prevention research. "As a suicide researcher, you feel urgency to answer big questions because the field is stagnant, and people are dying at increasing rates. Now, this is a promising direction." Ribeiro's research project is a novel path bolstered by early success. The team has already developed powerful machine learning algorithms for electronic health records that can predict with 80-90 percent accuracy whether someone will attempt suicide as much as two years into the future. In contrast, Ribeiro describes current risk detection methods as ineffective — they're about as accurate as a coin flip, according to research — and that's resulting in too many missed opportunities, especially in the military. Records show about half of active duty service members who killed themselves had met with a primary care doctor in the previous month. The figure climbs to 95 percent when the timeframe extends to a full year. "It's disheartening to see examples where people were at a point in their care when something potentially could have been done, but they were missed," Ribeiro said. She is determined to shake up the field of suicide risk detection with a fresh approach that improves accuracy and covers more people. The new tool will be integrated into the Navy's electronic health records. The "clinical decision support tool" will run in the background of those computerized records and automatically generate risk scores or alerts about individual patients. In critical cases, the tool would issue specific steps telling doctors how to intervene most effectively. "A big aspect of this project is to make the tool user-friendly so primary care physicians actually use it," Ribeiro said. "Doctors won't have to enter any raw data, and we'll study their workflow to maximize its ease of use. The tool would provide easily digestible information, such as yellow or red alerts, with the idea that doctors could spot someone with an elevated risk and then set up a risk assessment." The machine learning tool is fast, more accurate and not as time-consuming as conventional risk detection methods, which typically require extensive, in-person assessments. Ribeiro said studies have found private sector primary care doctors spend an average of about 15 minutes with each patient, and that's simply not enough time to conduct a full suicide risk assessment. In addition, the sheer power of machine learning enables doctors to track enormous amounts of medical records, containing millions of data points, and organize those health facts into meaningful information. Ribeiro's study will test the tool at the U.S. Navy Medical Center in Portsmouth, Virginia. But it holds potential for much wider use because all branches of the military maintain large repositories of electronic health data. Ribeiro hopes her efforts to answer some big questions about this persistent problem in the military will help save lives. "It's definitely a priority across all military branches to make sure resources are available to prevent suicidal behaviors or intervene when necessary," Ribeiro said. "Suicide rates in the military historically were low compared to civilian populations, but that changed about 15 years ago. The shift has been perplexing, and a lot of people in the military consider the problem an urgent priority." Ribeiro and Franklin are collaborating on the military research project with Dr. Colin Walsh, assistant professor of medicine, biomedical informatics, and psychiatry, at Vanderbilt University Medical Center.